Get to know your sdcards capabilities by measuring your phone's internal and external memory cards speeds. 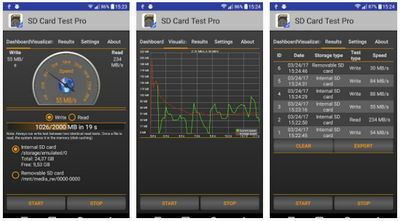 SD Card Test Pro (no ads) is the best app at doing that, and it's easy to use, just one tap and you're good to go. - Read/write tests, several different settings.